A1 Quality Laundromat has created this privacy statement in order to demonstrate our firm commitment to privacy. Registration Forms Our site’s registration form requires users to give us contact information (like their name, email, and postal address). The customer’s contact information is also used to get in touch with the customer when necessary. Users may opt-out of receiving future mailings; see the choice/opt-out section below. . Surveys Our online surveys ask visitors for contact information (like email address). Users may opt-out of receiving future mailings; see the choice/opt-out section below. . External Links This site contains links to other sites. 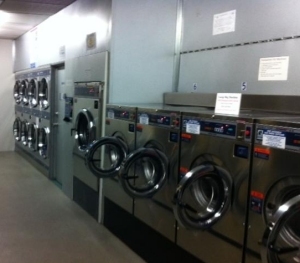 A1 Quality Laundromat is not responsible for the privacy practices or the content of such Web sites. .
Data Quality/Access This site gives users the following options for changing and modifying information previously provided: You can send an email to ross@laundromatjoondalup.com.au . © 2019 Self Service Laundromat Joondalup Perth WA. All Rights Reserved.